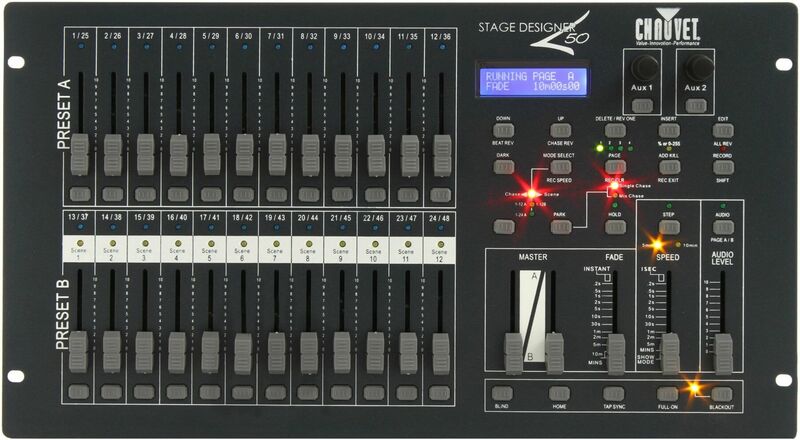 The Stage Designerâ¢ 50 takes the size of a 24-channel dimming console and the functionality of a 48-channel console and combines the two into one powerful dimming unit. The Stage Designerâ¢ 50 has up to 8 pages with 12 scenes each and 96,000 programmable steps. The console allows the user to re-assign channels as needed and allows for MIDI input.